Arecont Vision Costar Expands US Southeast Coverage with COM-TECH Systems, Inc.
Arecont Vision Costar Increases Southern Coverage with TMG Sales Agents, Inc.
Los Angeles, CA (March 5, 2018) – Arecont Vision®, the industry leader in IP-based megapixel camera technology, welcomes Paladin Sales Group as members of the company’s Manufacturer’s Representative Partner program. The Paladin Sales Group team will complement the Arecont Vision sales team in the Northeast United States, by supporting end users, systems integrators, and distributors. Paladin Sales Group has responsibility for Eastern Pennsylvania, New Jersey, New York, Connecticut, Rhode Island, Massachusetts, Vermont, New Hampshire, Maine, Delaware, Maryland, Northern Virginia, and the District of Columbia. 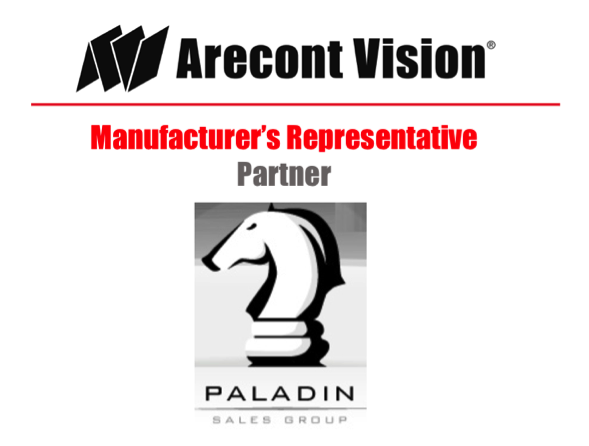 Paladin Sales Group and the other members of the Arecont Vision Manufacturer’s Representative Partner program are key to bringing the industry’s best, cyber-secure megapixel cameras to more customers across their regions. They extend the reach of Arecont Vision in providing expert pre-sales assistance, interfacing with and educating customers, system integrators, and distributors on available products and solutions for their video surveillance requirements. Program members stay current with video surveillance and security industry technology and products via Arecont Vision University and other company and external sources. Learn more about Arecont Vision by calling us at +1.818.937.0700, emailing us at [email protected], or visit us online at www.arecontvision.com. To contact Paladin Sales Group, call +1.631.435.1010 or email [email protected]. You’ll find Paladin Sales Group online at www.paladinsalesgroup.com. Arecont Vision is the leading manufacturer of high-performance megapixel IP cameras, designed and built in the USA. © 2016 Arecont Vision. All rights reserved.